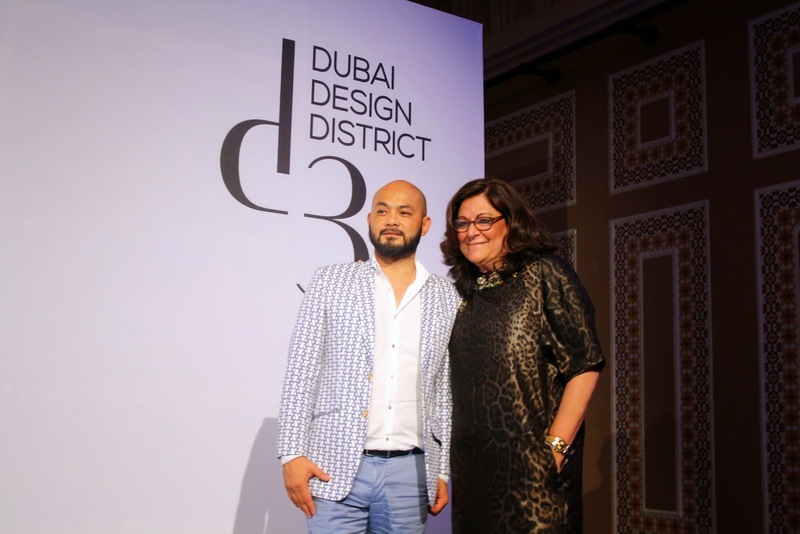 Fashion Forward team in Dubai were kind enough to extend me an invitation for the Third season, which I was very excited to attend. Aside from the catwalks and The Garden which I shall highlight in another post I was mostly interested in attending the talks hosted under Fashion Forward Umbrella. Ritu Upadhyay the mediator of the first talk I've attended along with Anas Younis, Amanda Navai& Ghanim AlShamsi. As well as Alberto Oliveros & Rania Al Masri representing Level Shoe District. The talk started with each designer talking about their start in the Middle East and the difficulties they've managed to overcome and how they were picked up by Level Shoe District to showcase their talent side by side international brands which they oweD a lot in return as it gave them a kick start in establishing their name and pointing out their talent starting the Middle East toward a global reach. Bryan Boy is an infamous blogger who started blogging 10 years ago in his home land Manila as a travel journal. Hilarious, witty and well prepared, he loves fashion and shopping for clothes but he doesn't consider himself a fashion icon. He emphasized on the fact that there's no shame in making fashion mistakes as he see's himself as a fashion disaster that reflects his mood and personality and he wouldn't reach where he is today if he didn't commit those mistakes but he ensured to learn from them. What works for him that he keeps everything in a personal level as he noticed that's what people actually care for therefore he allowed himself to give more personal aspects of his daily life with a shock factor. During the questions session, I've managed to ask him that since audience now have made a move from blogs to social media channels what was his input in that situation? Bryan; as a late adapter of social media and took his sweet time joining instagram bandwagon he thinks that those are aiding tools and social media scenes keeps on changing so you must keep your audience engage by presenting different content on each channel.. Fashion Week : Going Forward ? The creator of New York Fashion Week and the God Mother of Fashion. She talked about her experience with New York Fashion Week which started in 1993 as 7th on the sixth. And some funny incidents that happened along the way like plaster falling on models but they carried on nonetheless..
She was dauntless and very courageous and now as she look back she wonders how did she find it in her to do all of this and address the moguls of industries she involved in Fashion Week. 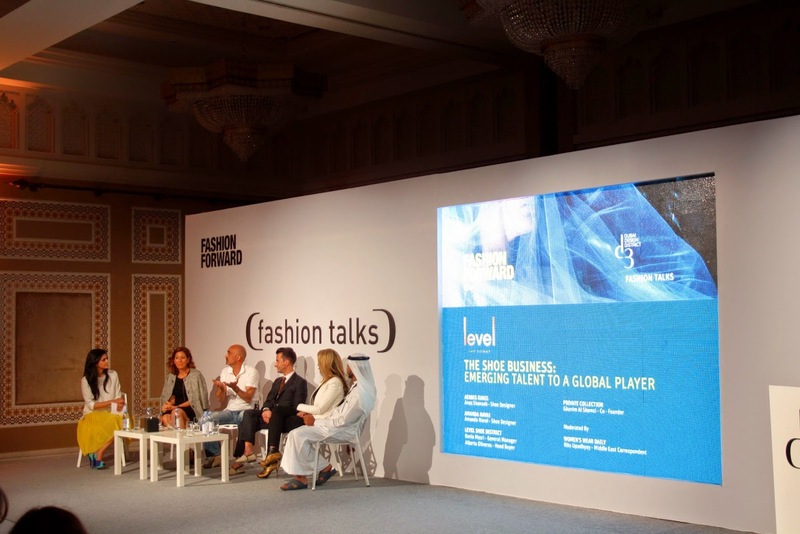 She expressed that she was looking forward for Dubai to be next in the line following the steps of Paris, Milan, London & New York in hosting fashion weeks while still keeping the cultural identity and the beautiful traditions of the regions within the plan. Her talk was very inspiring and a great wrap for Fashion Forward, I was lucky enough to say hello and shake her hand at the end of the talk..